Home » Business » US welcomes Chinese Banks on it’s Land! US welcomes Chinese Banks on it’s Land! In a historic move, the Federal Reserve has cleared and allowed China’s Biggest Bank ICBC to takeover a US bank by a Chinese state-controlled company. Just days after high-level US-China economic talks in Beijing, the Federal Reserve approved an application from Industrial and Commercial Bank of China to buy a majority stake in the US subsidiary of Bank of East Asia. 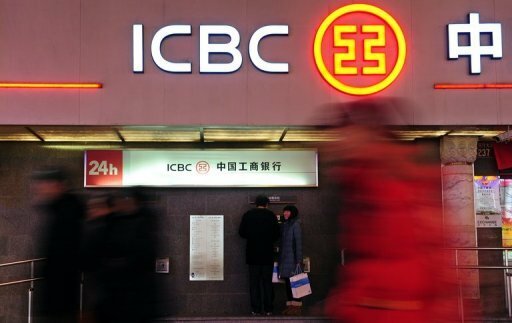 The transaction will make ICBC the first Chinese state-controlled bank to acquire retail bank branches in the United States. ICBC has been the most aggressive of China’s “big four” banks in expanding abroad. Outside China, it operates subsidiary banks in Asian countries and has branches in a number of countries including Germany, Japan and Singapore. According to the Fed, the bank has total assets of roughly $2.5 trillion. ICBC will buy up to 80 percent of the US unit of the Hong Kong-based Bank of East Asia, which operates 13 branches in New York and California. As part of the deal, ICBC and two state-backed financial firms — China’s sovereign wealth fund, the China Investment Corporation (CIC), and Central Huijin Investment — will be recognized as bank holding companies, regulated as commercial US banks. The Fed said the takeover may not occur before May 15, or later than three months from Wednesday. The broad expansion of China’s footprint in the US market comes amid a series of financial reforms in China that could begin to open the lucrative market to US firms. After the May 3-4 talks in Beijing, the US Treasury noted China had made “encouraging progress” on a number of issues, including taking steps toward a more open and market-oriented financial system. The Fed said Wednesday that the ICBC proposed acquisition, which is “relatively small,” would not have much of an impact on the banking market. “The combined deposits of the relevant institutions in the Metropolitan New York banking market represent less than one percent of market deposits,” the central bank noted. ICBC already has banking and financial services in the United States through its New York branch and its subsidiary broker-dealer. The competition includes Bank of China branches in the New York metropolitan area, and CIC, which has a noncontrolling stake in Morgan Stanley. ICBC will pay $140 million to buy an 80 percent interest in Bank of East Asia USA, China’s state news agency Xinhua reported in January 2011, at the time the deal was signed. “This unprecedented acquisition of a controlling stake in a US commercial bank by a mainland bank is strategically significant,” Xinhua quoted ICBC chairman Jiang Jianqing as saying. The Fed said its Board also consulted with the China Banking Regulatory Commission, the country’s main banking regulator, and pointed to steady improvement in regulation since its founding in 2003. “For a number of years, authorities in China have continued to enhance the standards of consolidated supervision to which banks in China are subject, including through additional or refined statutory authority, regulations, and guidance,” it said. In other Fed board decisions, Bank of China, the third-largest bank, won approval for a branch in Chicago. Bank of China operates two insured federal branches in New York City and an uninsured branch in Los Angeles. Agricultural Bank of China, the fourth-largest bank, was set to establish a branch in New York City, where it already operates a representative office. IBM Layoffs - Thousands being Fired Worldwide! !